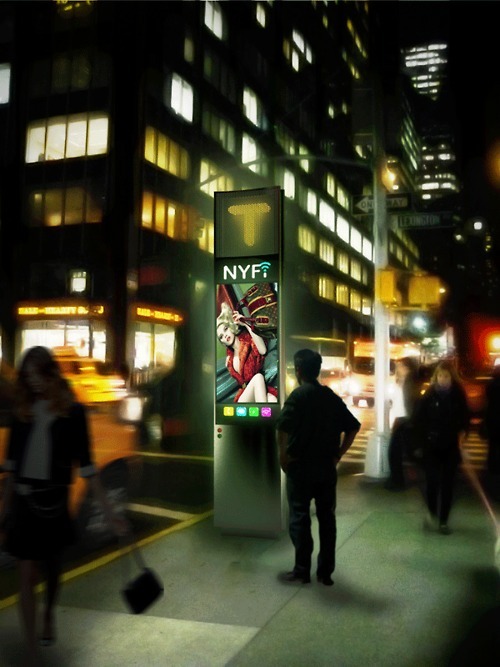 A competition launched in New York offered to invent the telephone booths in the future. Overview of some work shortlisted projects that could one day land on our sidewalks. In December, the mayor of New York and businessman Michael Bloomberg jointly launched a call for applications reserved for designers and engineers. 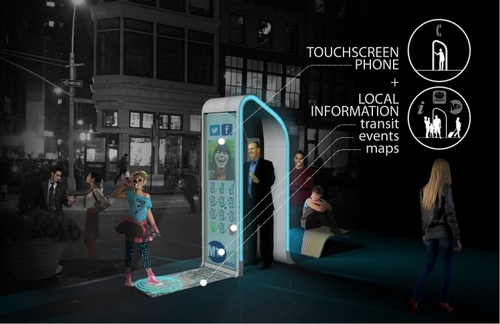 Objective: To imagine the future of telephone booths. In fact, the cabins that still survive in the city are set to disappear: the contract that manages expires in 2014. With this competition, the idea is to tap into new technologies to invent cabins using, inter alia, Wifi or touchscreen. 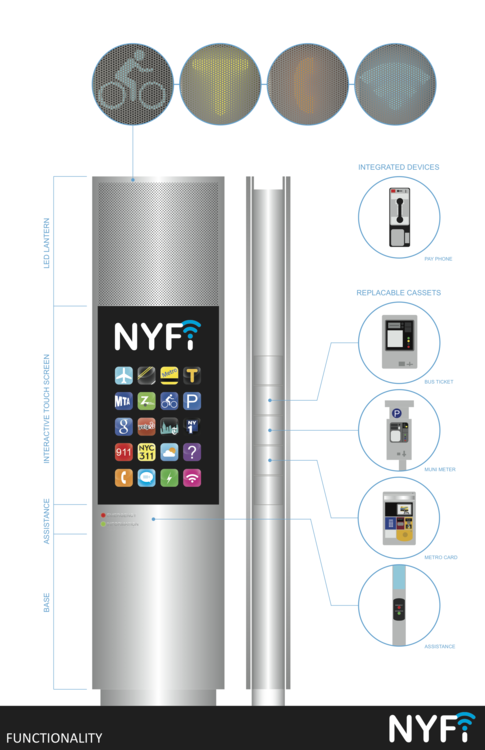 Among the six projects selected by the City of New York, found eg NYFI as outlined on the website Generation NT. Digital display, elegant design ... this terminal offers an interactive portal where you can find information about various goods and services, free access to wireless Internet, and many applications that will be added to progressively . The project is equipped with an open software platform that builds applications already created for smartphones and tablets. 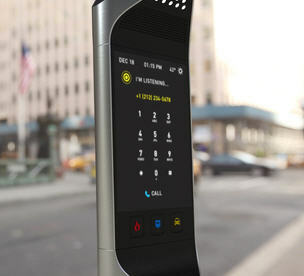 Finally, Beacon NYC, is a terminal controlled by voice and gestures. Created by Frog Design, this panel of 3.60 meters provides a public display, station alarms. It should run on solar energy. The public can vote for one of six finalists telephone terminals, until March 15.